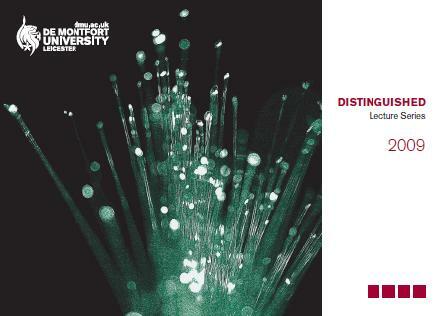 Professor Lord Patel, Head, International School for Communities, Rights and Inclusion, University of Central Lancashire, visits De Montfort University to give a free lecture as part of the Distinguished Lecture Series. Professor Lord Patel is internationally renowned for his work with communities and social cohesion across a range of issues including mental health, drug and alcohol use, crime and regeneration. He is Head of the International School for Communities, Rights and Inclusion at the University of Central Lancashire. Lord Patel’s work is distinguished by his insistence that the subject of any research, whether community groups, individuals or organisations should benefit from being part of that research. To this end, he has developed a series of acclaimed projects in mental health, drug use, crime and equality and diversity based on models of community engagement and organisational change. Lord Patel has been appointed to a number of national boards and committees, including the Central Council for Education and Training in Social Work, the Home Office’s Advisory Council for the Misuse of Drugs, the Healthcare Commission and the National Treatment Agency for Substance Misuse. He served the Mental Health Act Commission since 1995 culminating in his appointment as Chairman in 2002 and in 2008 was appointed to the board of the Care Quality Commission. Lord Patel has contributed to a variety of Government policies including being the architect of the Government’s five year action plan for delivering race equality in mental health care. In 2007 he was appointed by the Prime Minister to act as a Ministerial Adviser to the Secretary of State (DCLG) in respect of the government’s PREVENT agenda (Preventing Violent Extremism); he is also Chairman of a National Taskforce looking at the effectiveness of prison drug treatment. In October 2008 Lord Patel was appointed as Minister in the House of Lords Government’s Whip’s Office as spokesperson for Communities and Local Government, Ministry of Justice, Cabinet Office and the Attorney General’s Office. Places must be booked in advance as there are limited spaces. To book a place, or for more information email Daniel Jones on djones@dmu.ac.uk or telephone 0116 257 7452. We would also like to invite you to join us at the reception after the lecture where there will be free drinks and canapes.